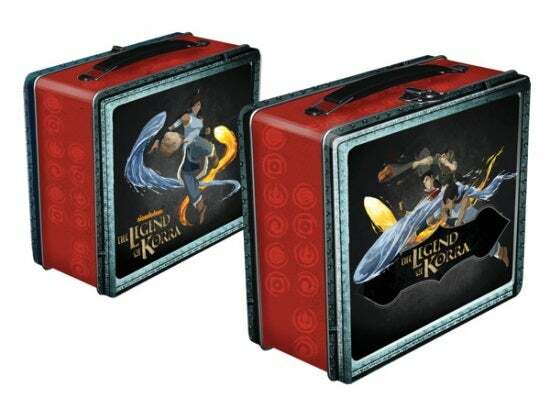 Dark Horse Deluxe and Nickelodeon and expanding their partnership to include a wide array of new Avatar: The Last Airbender and The Legend of Korra merchandise. The merchandise will debut at Toy Fair and be released in May. The new merchandise follows Dark Horse’s already successful graphic novels and art books based on both series. Products in development include limited-edition statues, figurines, and busts, as well as, featured plush, drinking glasses, cups, coffee mugs, coaster sets, magnets, playing cards, badges, pins, lunch boxes, sculptural pins, and other items. “Avatar: The Last Airbender and The Legend of Korra are some of the finest animated television shows ever created,” said David Scroggy, Dark Horse Vice President, Product Development. “We feel a strong responsibility to bring forward the creators’ vision as accurately as possible in the style they have established, and we are excited to bring these products to fans."